Are you using just QuickBooks to manage your fundraising, or are you looking for a donor management system that works with QuickBooks? This free e-book is designed to help you decide what’s best for your organization. 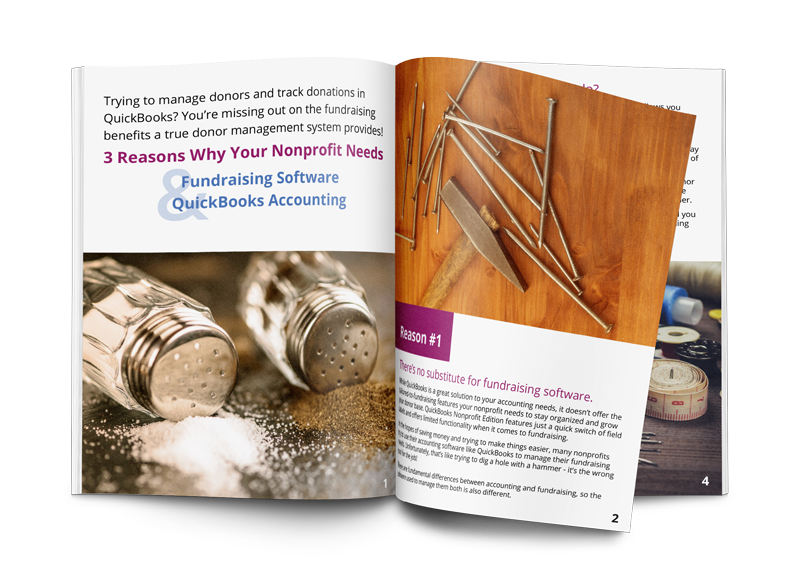 Learn why DonorPerfect Fundraising Software and QuickBooks Accounting are the perfect pair.